Have you ever wondered how glass mirrors work? Often a combination of the above happens - some light will be reflected and some absorbed. 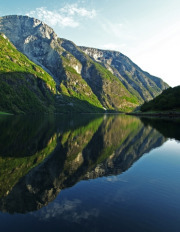 For example, when you look in a lake on a clear day you will see the mountains and sky reflected. If you throw a stone into the water, the amount of light absorbed and reflected changes so the image is distorted. 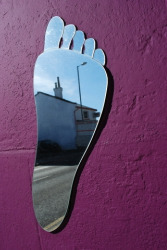 Early mirrors used to be made from shiny metals where some light is reflected. However, it was soon discovered that a better option was to coat one side of a sheet of glass with the reflective material. Early mirrors were coated with silver. Please contact us for details of your project. Even if you do not see what you are looking for here, we may be able to help.